•David Keenan is a registered Inman Aligner provider. •We are the leading provider of Inman aligners in the country. As time goes by, your teeth tend to shift, sometimes causing your front top and bottom teeth to become crooked. At first glance, you may think you need braces, however with the patented Inman Aligner, your front teeth can be gently guided to an ideal position quickly and effectively, in a matter of weeks. The Inman Aligner applies a gentle pressure to the teeth that need to be moved to an ideal position. The gentle process is provided by the spring action of the appliance. Once your teeth are corrected, the Inman Aligner works like a retainer and holds them in place. The Inman Aligner is designed to treat the upper and lower front teeth only. After an evaluation at Dublin dentist, Pembroke Dental Ballsbridge, in Dublin 4, your dentist can determine if the Inman Aligner is right for your particular case and will recommend treatment options. The Inman Aligner is a simple removable appliance used to align front teeth quickly and safely. It’s ideal as a stand alone treatment or to align teeth prior to further cosmetic options such as bonding or minimal veneers. 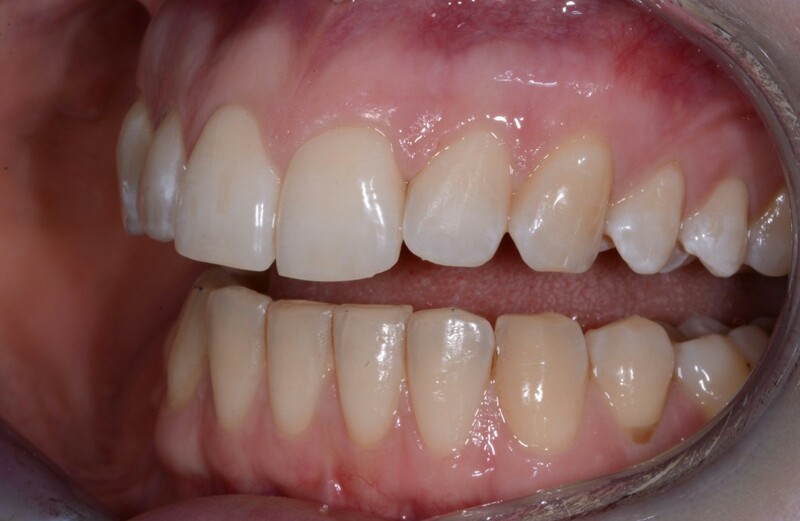 The image to the right shows the squeeze effect of the two aligner bows on the front teeth. The inner bow pushes forwards, while the outer bow pulls back on the front teeth. Treatment can only begin after a consultation to assess your suitability and discuss your options. For more information about the Inman Aligner, go to www.inmanaligner.com. NEW case example – read more on our blog post! If you are looking for the perfect smile, call our expert Inman Aligner Treatment specialist at Pembroke Dental Ballsbridge, Dublin 4 for a FREE consultation on 01 668 3242.